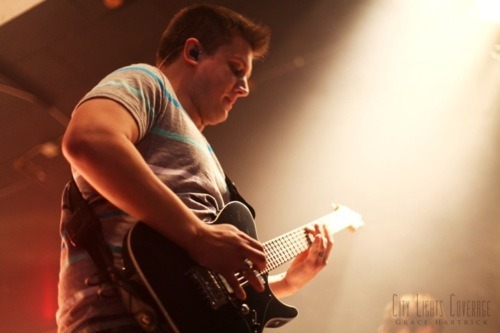 On January 15th, City Lights Coverage covered the August Burns Red headlining show at Amos’ Southend in Charlotte, NC. Arriving to the venue, you could just feel the anticipation from the eager fans waiting outside in a line that could wrap around Amos’ Southend twice. 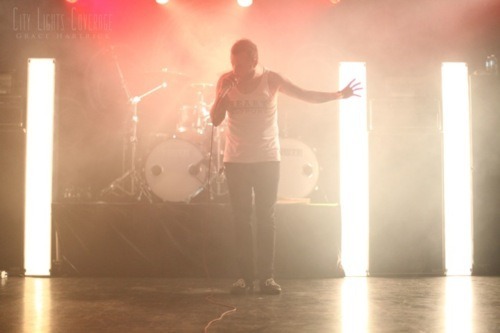 Openers were letlive, Texas In July, and Silverstein. Throughout the whole show, the crowd never seemed to have a downfall. However, just when I thought that the energy in the room was about to explode, August Burns Red came on stage, and the whole room just combusted. They opened with “Empire” off of their most recently released album, Leveler. Their set list contained a good mix of old songs all the way up to new. They even played “Your Little Suburbia Is In Ruins” off of their album Thrill Seeker, released in 2005. The greatest thing about seeing August Burns Red though, is that no matter what song they choose to play, they will always put on one of the best shows you will see. Trust me when I say, you will not leave disappointed. From the strobe lights, to the stage presence, to the crowd dives, August Burns Red has so much passion when it comes to performing their music that you are guaranteed to have to deem this tour as one of the best shows you have ever been to. View more photos from their set here!